Age of Empires fanboys never gave up, and that patience is finally going to pay off. After 16 long years, Age of Empires II: The Age of Kings is getting an expansion pack. For many gamers, Age of Empires II is a nearly perfect game. 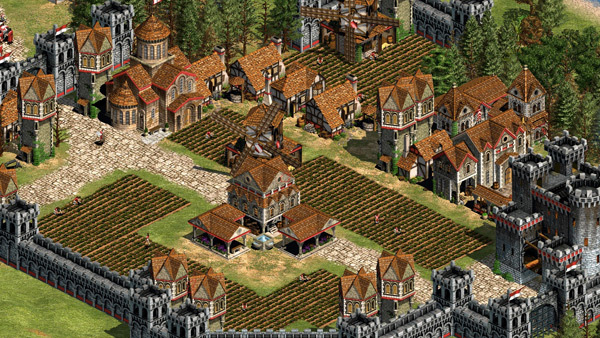 The title's subtlety and balance influenced thousands of real-time strategy titles, and players still cite AoE2 as one of the best strategy games in history. So, an expansion pack almost feels sacrilegious. However, according to the developer, the upcoming expansion won't undermine the title's core gameplay elements. It augments the experience enough to give AoE2 fans something new, but doesn't upset the game's sensitive dynamics. Also, to be fair, I'm not talking about the original Age of Empires II, here. Ensemble Studios, the developer behind AoE2, was disbanded in 2009, so they're obviously not working on anything at the moment. But in 2013, Microsoft partnered with a team of amateur developers on a high-definition update to the game. And this isn't even the first Age of Empires II: HD Edition expansion pack. Last year, developer Skybox Labs released a piece of DLC called The Forgotten, the first expansion that AoE2 ever received. Fans enjoyed it enough to keep playing, so Skybox is working on something entirely new. As with The Forgotten expansion, you can anticipate a lot packed in there, including new civs, campaigns, game modes, units, and more. If your focus is more on the original AOEII experience, the new content development means you can look forward to additional support and features that benefit every owner. I really like this kind of project. In a world where too many games are hitting the reset button, Microsoft found a way to give old-school gamers a brand new experience. This isn't a reboot; it's an update. It's a way to bring an old game into the modern era. Usually, this only means a graphical retrofit, but Skybox Labs and Microsoft are taking this modern philosophy to the next level by creating some brand new content. Skybox Labs hasn't released many details about the expansion, but the company is planning to have it ready by the end of the year. Though, the development team is very small, so they might need a little slack from the community. If you'd like to learn more about Age of Empires II: HD Edition and all of its expansion packs, check it out on Steam.